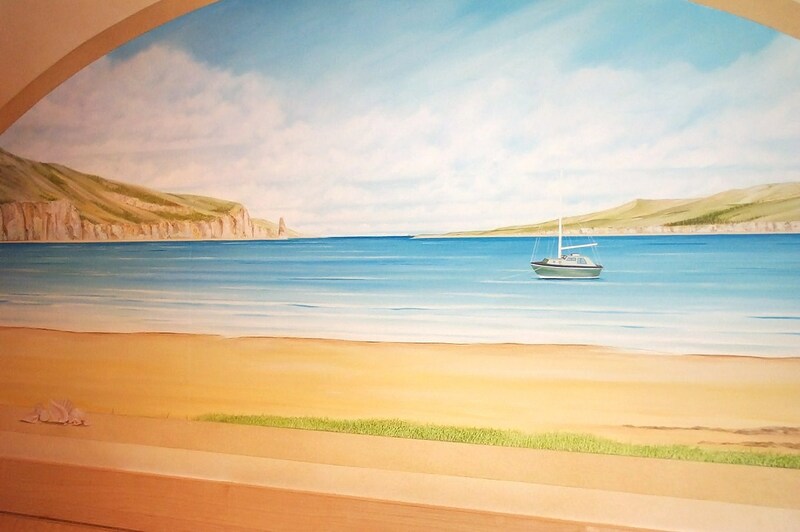 This hand painted beach mural was painted in the bedroom of an autistic man in his care home. 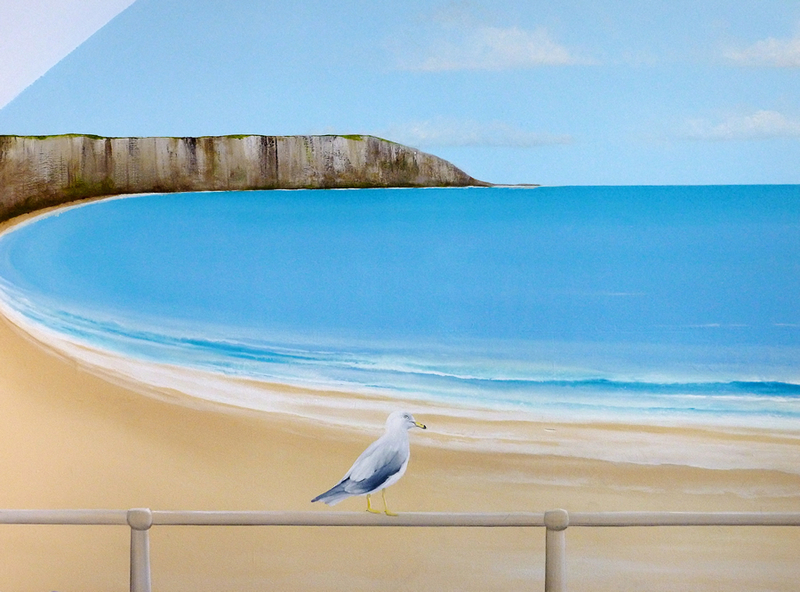 He absolutely adored the seaside and Filey in particular. 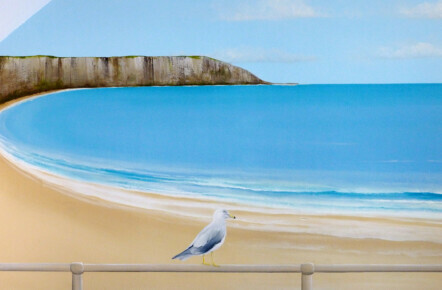 To encourage him to spend more time in his bedroom his family hit upon the idea of recreating a Filey view on his wall. The mural was a great success as I’ve since been told he now spends a lot more time in his room. 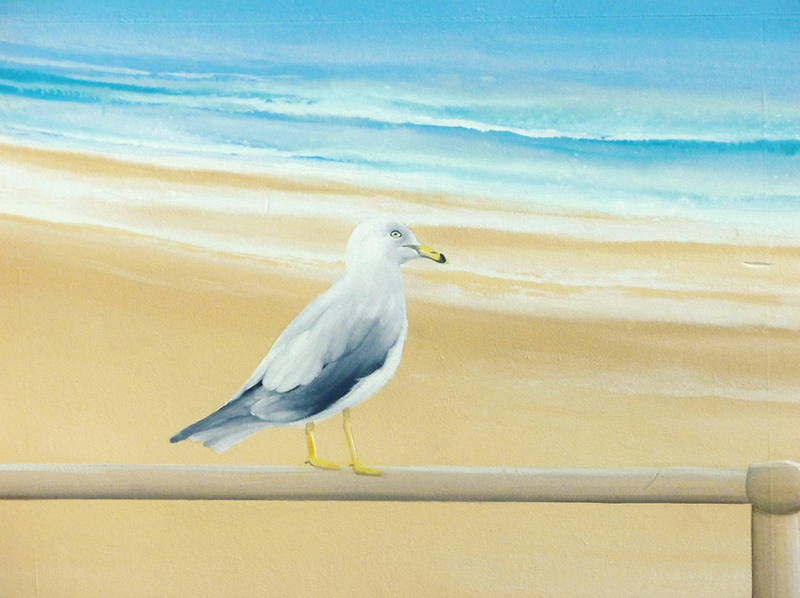 It’s nice to know that sometimes your painting can make a real life difference. 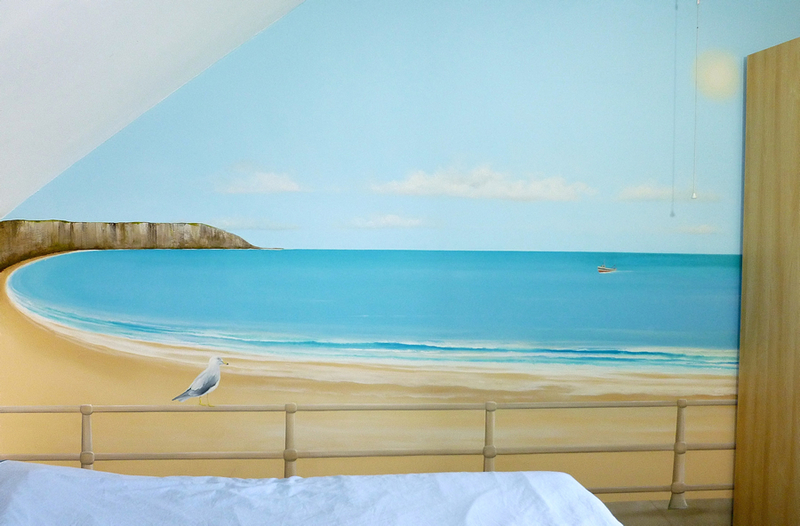 This hand painted beach mural was painted on a clients bedroom wall and was truly tailored to suit them. It actually depicts their own sailing boat in one of their favourite places on earth.